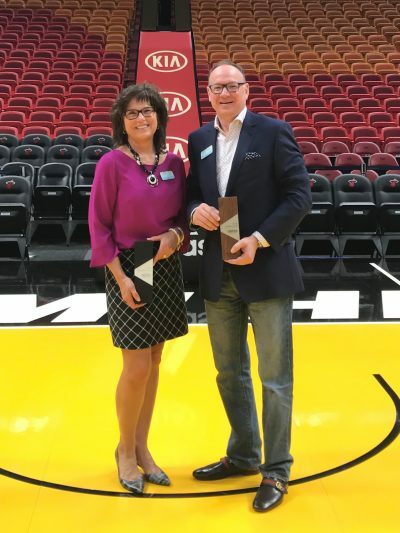 January 21-23, 2019, Kimball’s Annual Select Dealer Meeting was held at the American Airlines Arena, home of the NBA Miama Heat. 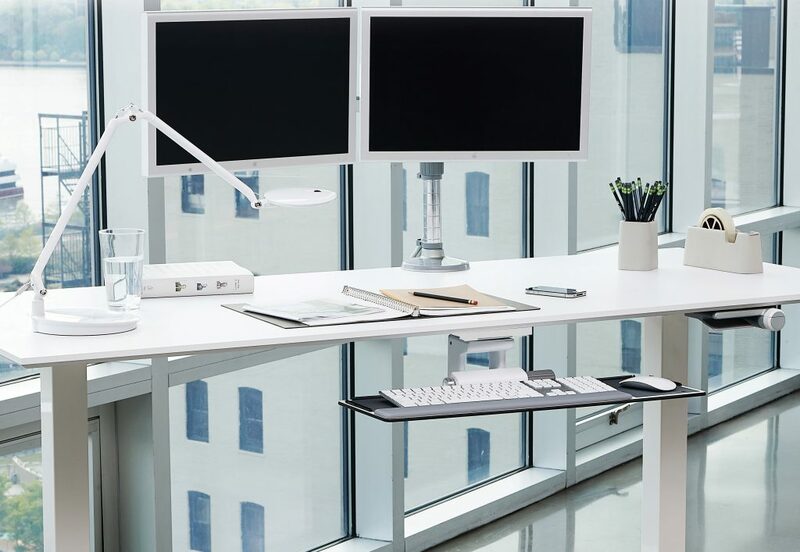 Kimball International creates design driven, innovative furnishings sold through their family of brands: Kimball, National, and Kimball Hospitality. 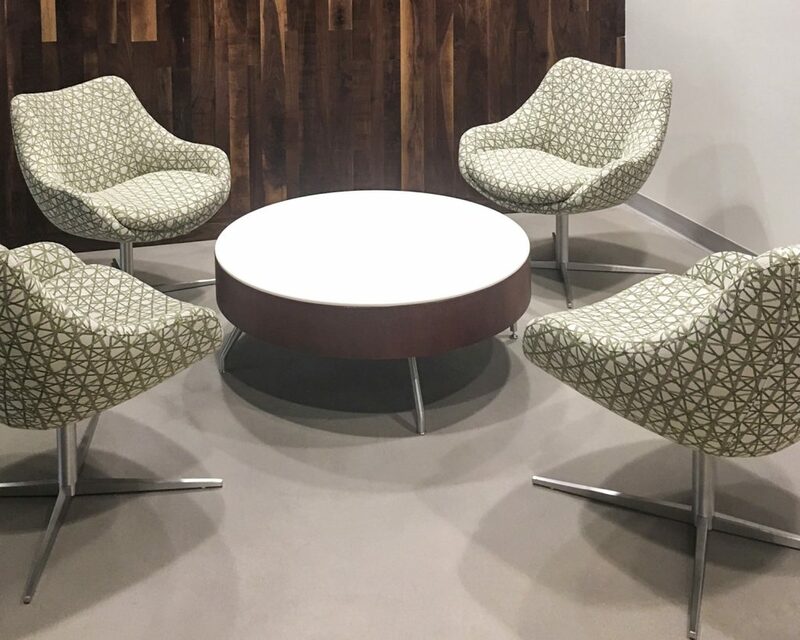 Their diverse portfolio offers solutions for workplaces and learning, healing, and hospitality environments. 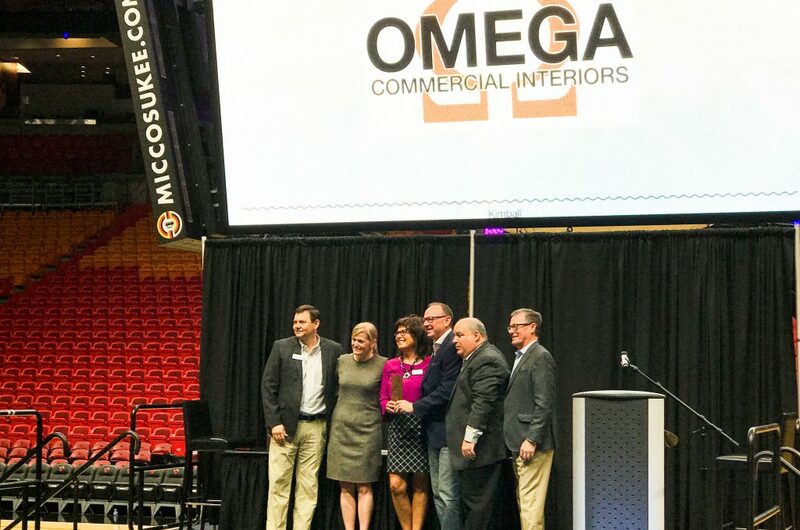 Attending was a Morgantown based company, Omega Commercial Interiors, who has been a Kimball Select Dealer since 2015, one of forty four in the United States. 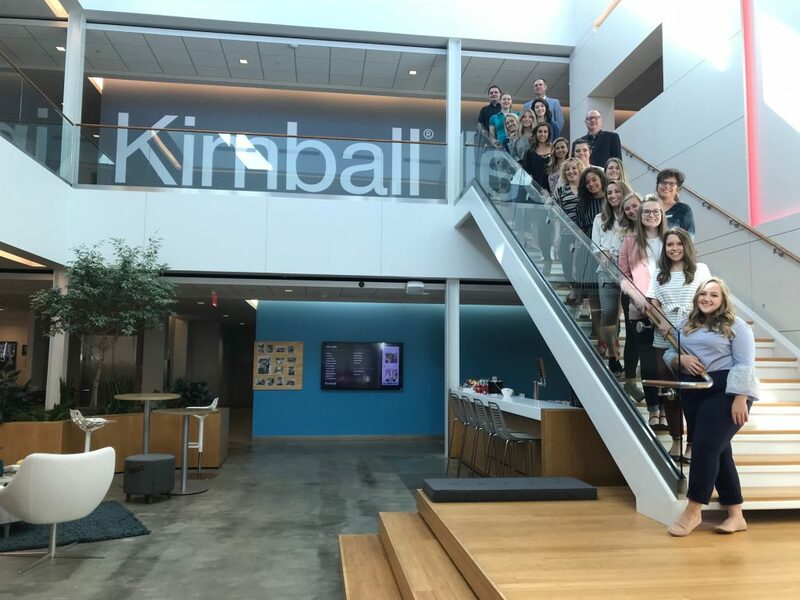 Kimball’s annual select dealer meeting, “Ignite”, encompassed a collection of top Kimball dealers from across the United States that shared best practices, studied industry trends and focused on product innovations for the upcoming year. The meeting also provided an opportunity for the dealers to socialize with one another and receive previews of upcoming new products. 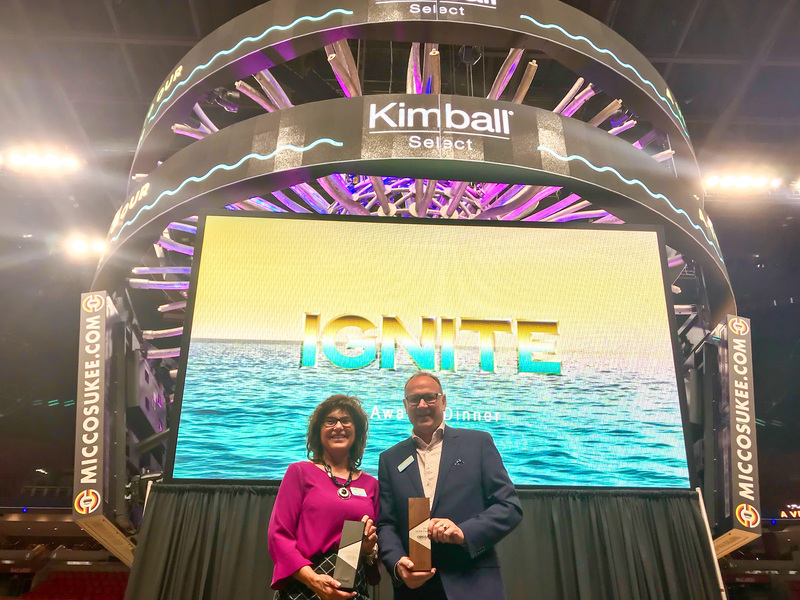 This year, for the first time, Omega Commercial Interiors was recognized as a Silver Award Recipient for exceeding 3 million dollars of Kimball Product Sales in 2018. Omega also received the Triumph Award, as the 3rd highest Kimball Market Share in the United States. Pictured above are Mike Wagner (President of Kimball), Kristi Juster (Chief Executive Officer of Kimball), David McCormick (Owner/President of Omega Commercial Interiors), Peggy Schifano Lovio (Co-Owner/Vice President of Omega Commercial Interiors), Greg Richards (Director of Distribution for Kimball) and Don Van Winkle (Chief Operating Officer for Kimball). 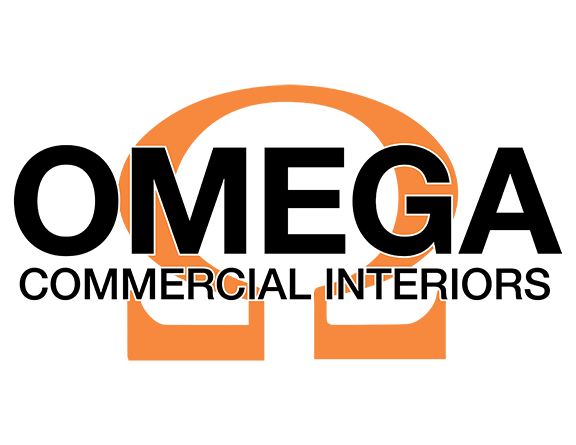 Omega Commercial Interiors is a Morgantown based contract office furniture company that started in 2013, focusing on healthcare, private office and commercial office furniture. The company’s sales have grown each year in business. Omega has ninety years combined experience. Although based in West Virginia, Omega has sales beyond West Virginia’s borders into Pennsylvania, Maryland, Ohio, Virginia, North Carolina and even as far as Louisiana, Texas and New Mexico. Since Omega has opened, they have expanded their offices as well as their workforce from 5 to 15 employees. David McCormick and Peggy Schifano Lovio, owners of Omega, were very honored to receive these awards. They are proud to be a home grown West Virginia business, and proud to call Morgantown, West Virginia their home.